How does English differ from other languages when it comes to writing? Different countries have different cultures and languages. It is only logical that these countries would also differ in writing style and structure! In India, the emphasis of a student’s research paper is on showing the student’s authority on the subject by describing the topic in length, using “big words”, long paragraphs, etc. In the United States, however, the emphasis is always on being concise, to the point and clear. English is sometimes called a “linear” language because it is to be direct. When writing in English, it is important to make sure each paragraph has one theme or topic, thus dividing the entire paper into sections. The writer lays out the main idea with one goal in mind when writing – make sure the reader understands. In Japanese, for example, a writer needs to be very skillful and well-practiced in writing so that he/she can write in a way that only implies the idea, leaving the reader to interpret the information on his/her own. Written Japanese is considered difficult to read because of the great degree of homophony (or similar sounding words) in the vocabulary. As a result, the reader must know what is being discussed in order to properly understand the text. The more “complicated” the writing, the more credit and acknowledgement is given to the writer! 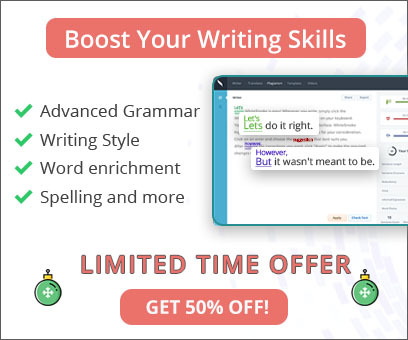 For non-native English speakers, or ESL students, it is sometimes important to have a writing tool that not only corrects spelling and grammar, but also corrects and assists with style and structure. Learning a new language doesn’t stop at that. It also means learning and understanding a new culture. 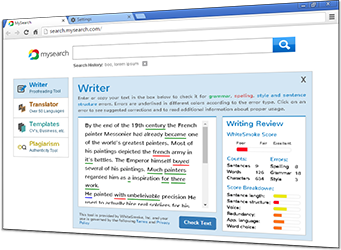 Get WhiteSmoke now for the only writing tool that can cater to all of your writing needs!